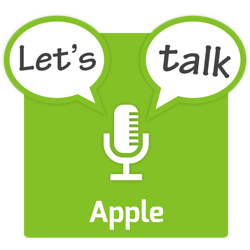 The show starts with a quick run-down of developments in some of the major legal cases involving Apple, then moves on to some notable numbers and some Apple HR News. The five main stories are Apple’s Q1 2019 earnings, a good CES for Apple, the FaceTime bug, Facebook & Google breaking the rules of Apple’s Enterprise program and briefly losing their internal apps, and some encryption and privacy news. The show finishes with a quick rundown of some smaller Apple-related stories that made the news in January. Excluding iPhones, revenue is up 19%, with all-time records for Services, Wearables, and Mac. Services set new records in every region. The final revenue number was $84.3Bn, down 5% year-on-year. iPhone revenues were down 15% year-on-year, but everything else was up. Services revenues was up 19% year-on-year to $10.9Bn, which was up 19% year over year. Earnings per share were up 7.5% year-on-year at $4.18, and all-time record! Apple returned returned over $13Bn to investors through dividends and share buy-backs. Active installed base of devices reached an all-time high of 1.4Bn in the first quarter, growing in each geographic segment. Apple Music subscribers hit 50M over the holidays. A serious bug was discovered in Apple’s Group FaceTime feature. The bug allowed an attacker to remotely enable the microphone, and in some cases camera too, on a victims device. The problem seems to have been with the transition between regular FaceTime and Group FaceTime. To trigger the bug an attacker would call their victim via FaceTime, then, before the victim answered the call, add a third person to the conversation, when the conversation jumped into Group FaceTime mode, the fact that the call was not accepted was forgotten, and the victim device silently joined the group call. The third person could be anyone, including the attacker themselves! The bug was discovered by a teenager, and his mother tried extremely hard to raise the alarm, but without must success at first. When the issue finally gained media attention Apple quickly responded by promising a fix within a few days, and then shutting the Group FaceTime service down temporarily. On Friday Apple released a statement apologising for the bug, explaining that they had fixed it on the server-side, and that a software update would be released next week re-enabling the service for users. Apple also promised to improve its bug reporting process. Facebook & Google caught abusing Apple’s enterprise app program to bypass the app store and deliver data gathering apps to select users. Facebook’s app installed a new root certificate and a VPN app, giving their app access to just about everything users did on their phones. Apple temporarily pulled both companies enterprise certs, but re-instated them after negotiating with the companies.